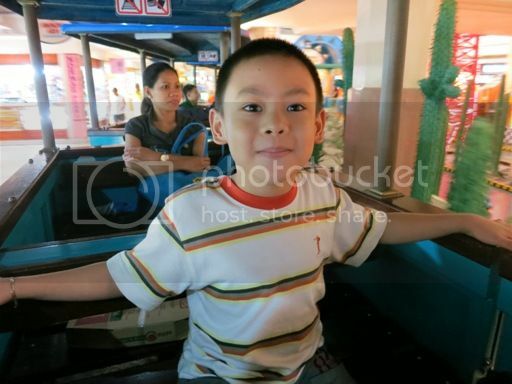 We seldom go to Alabang because it’s far from home, but whenever we get a chance to visit, we make sure we go to Festival Supermall because our little boy likes it there. 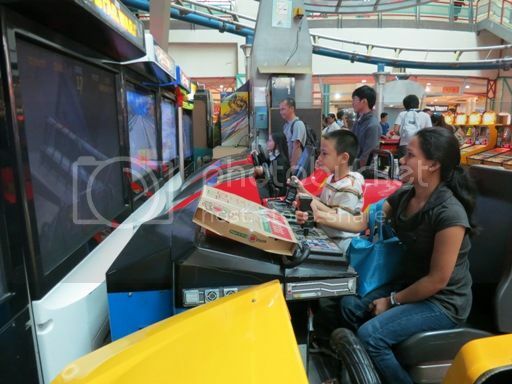 He wants to ride a train, drive his own race car and play arcade games, things he gets to do at Festival Supermall. 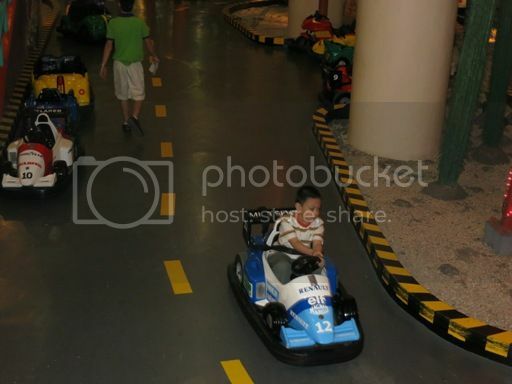 Because they didn’t have classes last Friday, we took the little boy to Festival Supermall for an entire day of play. It was supposed to be their rest day after four days of long tests, their first trimestral exams. 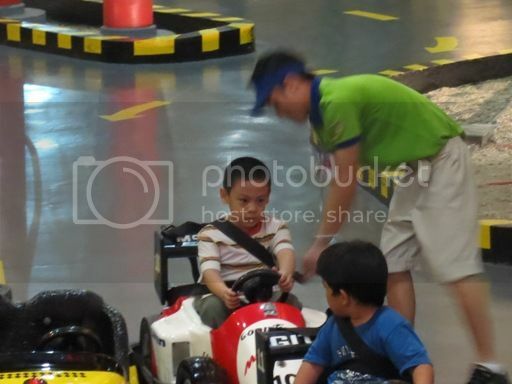 Then, it was time for our son to drive his own race car at the Kiddo Driving Skool. He liked it so much that he raced four times. Each ticket to the Junction Express and Kiddo Driving Skool costs Php40.00, but if you’re buying three tickets, you’ll get them for only Php100.00. 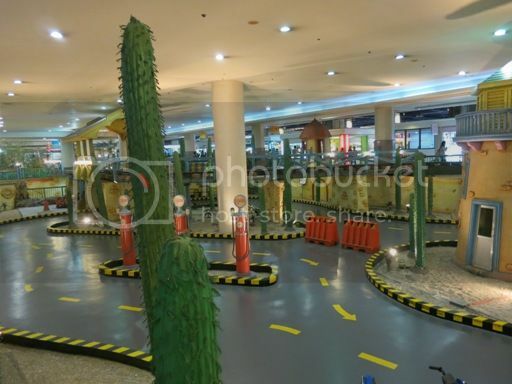 Both Junction Express and Kiddo Driving Skool are located on Level 1 of Festival Supermall. 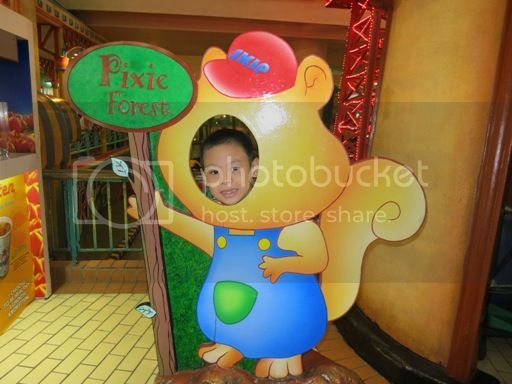 We never went to Pixie Forest, but I took a picture of him here to remind us to go there next time. 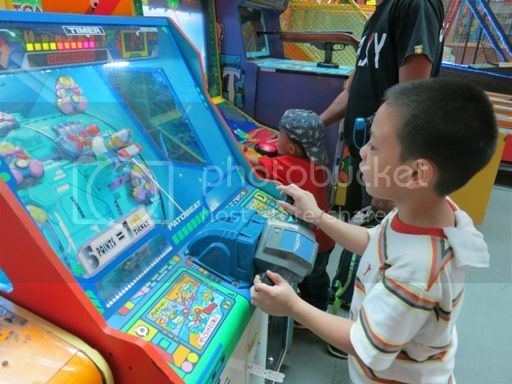 Finally, it was time to hit the arcade! 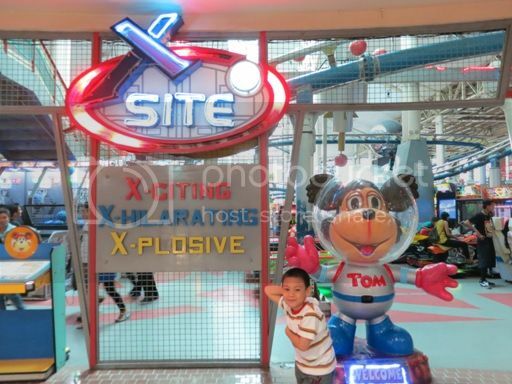 Tom’s World and X-site are housed in one place; they’re both on Level 2 of Festival Supermall. 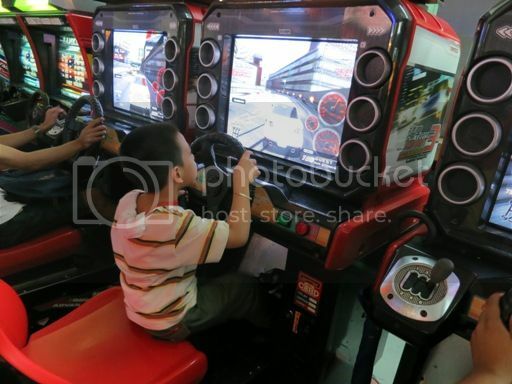 X-site is a cyber playground that offers roller coaster, bump car and go-kart rides. 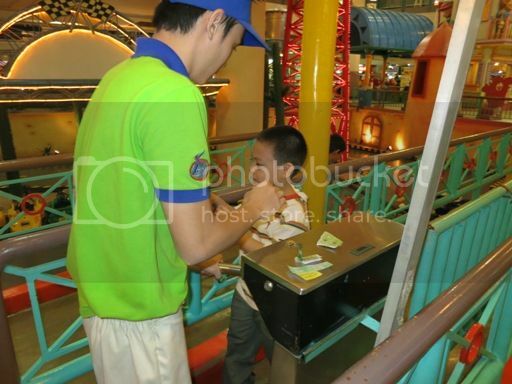 Our little boy was already contented with Tom’s World, although I knew he was eyeing the bump cars at X-site. It was really a fun day for our son. He actually wants to go back to Festival Supermall this weekend. We just might yield to his request because we already received the results of their first trimestral exams last Monday. He got a perfect score in 4 tests and he had one mistake each for the other 2 tests. How can we say no to him? 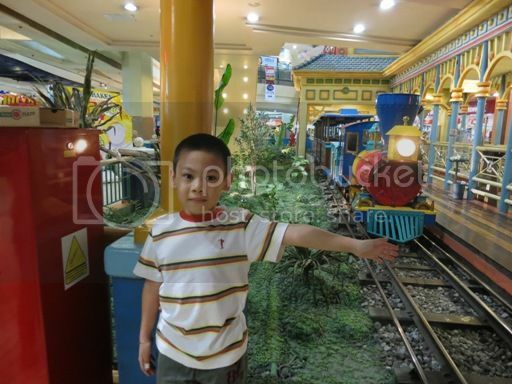 This entry was posted in Don Henrico's, Festival Grand Station, Festival Supermall, Junction Express, Kiddo Driving Skool, Pixie Forest, Play, Playtime, Tom's World, X-site. Bookmark the permalink. Such a happy family day! 🙂 I wish to experience this every weekend soon! I’ve been there only once since it’s quite far from where I live but I want to visit again and bring my nephew to the places you mentioned. whew! wish I can treat my cousin here. 🙂 Same with you. alabang is far from our home.. but the good part is, it’s a new place to have ultimate bonding experience. I miss hanging out with my boys at Festival Mall. 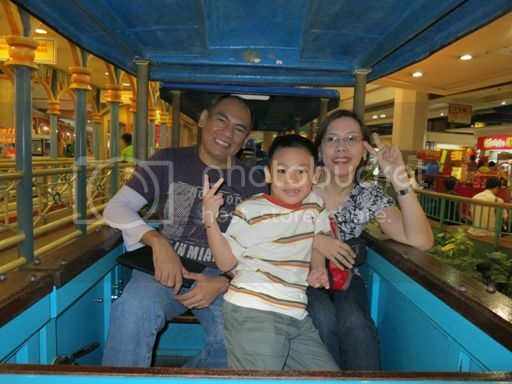 It was our favorite mall when we were still living in Laguna. the last time I was at Festival Mall was six years ago 🙁 I used to have my prenatal checkups in one of the clinics there and I miss going to Pixie Forest too! 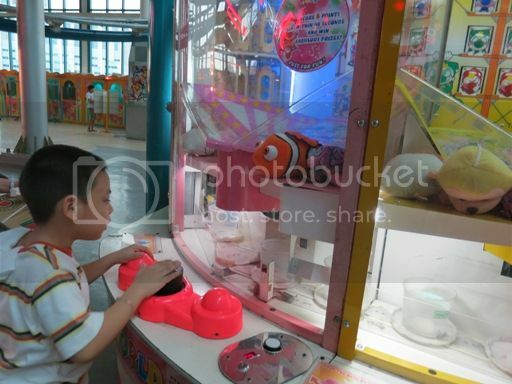 Your son surely maximized his fun time. Anyway, he deserves it for studying well.